4-H is a community of young people across America who are learning citizenship, leadership and life skills. Tuolumne County 4-H includes the Community Club program, School Enrichment Projects, and collaboration with Senior Youth Partnership in the PM Club Afterschool Program. All 4-H programs offer opportunities for youth to learn by doing with hands-on activities. For information about specific programs, please click on the links to the left! 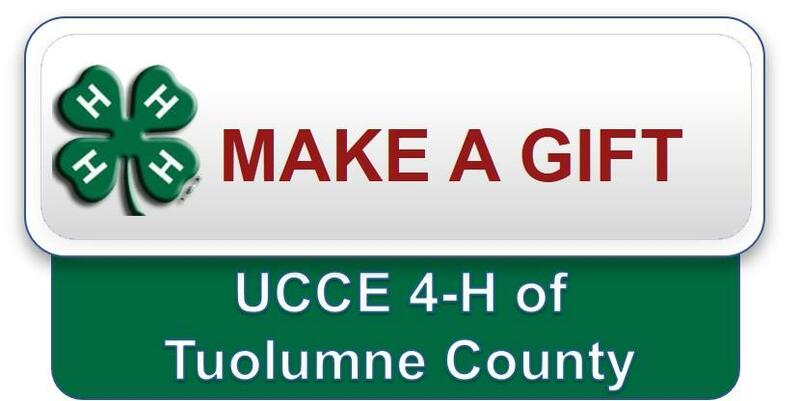 Click on the button above to make a gift to the UCCE 4-H of Tuolumne Co.